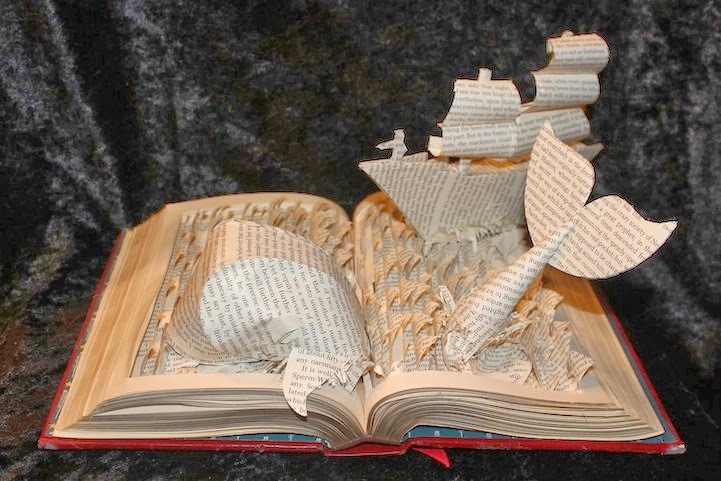 Ships, monsters, and mermaids pop out of books handcrafted by Delta, Pennsylvania-based artist Jodi Harvey-Brown (aka wetcanvas). Taking inspiration from the materials themselves, each three-dimensional scene the sculptor constructs reflects popular works of fiction. Whether it's a calm depiction of an outing from The Wind in the Willows or a rigorous struggle from The Old Man and the Sea, there is a sense of motion in the simulated waves.